Well, guys it gives me great pleasure to share this information with you. 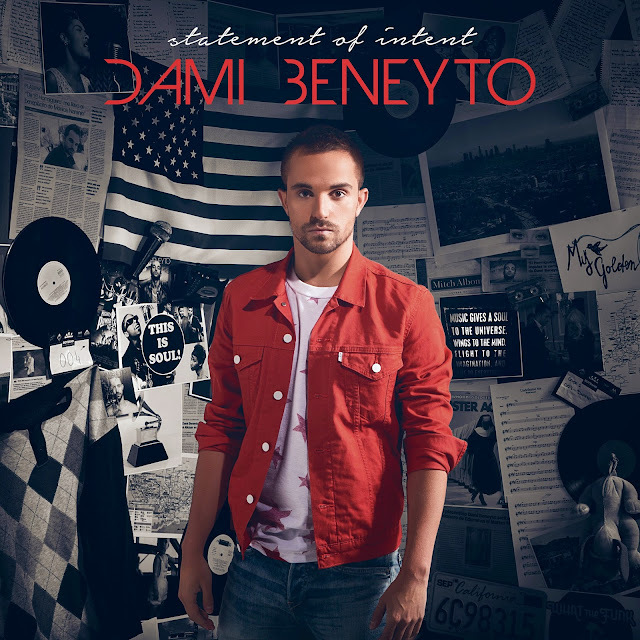 A fellow fighter and very, very, very dear friend of mine, Dami Beneyto, has just dropped his very first EP titled "Statement of Intent" after the very well received singles "Undefeated Me" and "I Am Free". "Statement of Intent" hits all digital platforms today guys so make sure to purchase your copy here! His new EP is also available to stream on Spotify. The title of the second single might sound familiar to most of you, but if you don't happen to remember, a little over a year ago Christina Aguilera had written and dedicated a 2,200 word letter to us, her fans, which was titled "From My Heart To Yours". Dami wrote this song in dedication to Christina, as he feels he owes our girl big for everything he's learned from her. In true fighter fashion, Dami has decided to donate all proceeds of his new single, "From My Heart To Yours", to the WFP to help fight hunger. Like with any new single there is always a music video to accompany it. Now this is where you guys, Fighters, become a part of it. Dami has personally asked me to help get the message out. He would love it if you guys were part of his music video and musical journey. He wants "From My Heart To Yours" to become Fighters' anthem. This is how you can participate: Record a 5-second video of yourself holding a sign (it can be a simple piece of paper) with a thank you message to Christina. These videos would alternate with close-ups of Dami singing the song. The video will be shot in black and white. You can send your videos to info@damibeneyto.com. The single and video are set to be released in April and the video is set to start shooting in March. We know Christina will watch the video and we're sure she will absolutely love the idea behind it, so please, participate! We learned from the best. <3 Love you too!